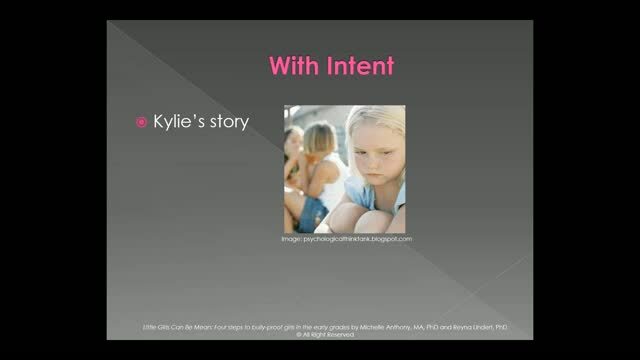 While the physical altercations and bullying by boys is sometimes more visible, mean behavior on the part of girls and their emotional bullying can be just as damaging. 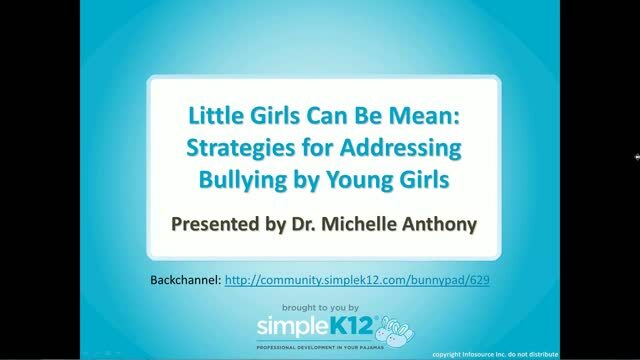 This webinar will provide how-to strategies for addressing the growing problem of girl meanness in elementary school. 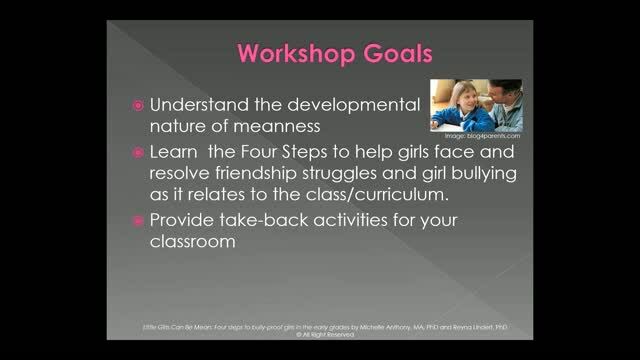 Participants will learn how to address friendship struggles and girl bullying within the context of the classroom. Join Dr. Michelle Anthony as she explains the behavior through a developmental lens with a positive tone, and shares a simple Four Step process, along with a variety of take-back tools and strategies, to help teachers teach, and elementary-aged students manage the many conflicts and dilemmas they face in the early years. Bullying comes in all sorts and sizes. Thanks for this informative webinar. Bullying is a continuous issue that needs to be addressed at a younger age. 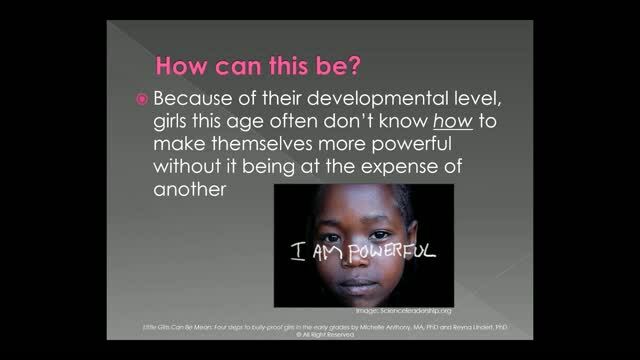 This webinar helps guide teachers on how to address it. It seems like this is happening more and more. Thank-you for helping us know how to address it!